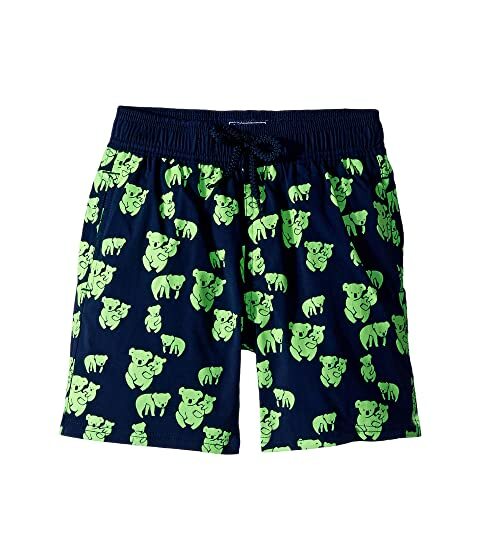 He'll be a star on the sand in these Vilebrequin Kids™ Sydney Glow In The Dark Koala Printed Trunks. Playful glow in the dark koala bear silhouette print. Back cargo pocket with hook-and-loop for closure. We can't currently find any similar items for the Sydney Glow In The Dark Koala Printed Trunks (Toddler/Little Kids/Big Kids) by Vilebrequin Kids. Sorry!